There’s nothing quite like improving on perfection. Those of us who’ve been through the teething stage know Sophie well. Those who have yet to experience the ‘pleasure’ of months of drooling, mouthing anything within reach and sleepless nights, here’s a rundown. This year Sophie the Giraffe turns fifty years old. More than thirty million Sophies have been sold worldwide since her “birth” in France in 1961. Now, after a half a century, this favourite teething toy has been revamped. Sophie is now available as part of an all-natural teething ring . She has lots of parts to chew on, with a different texture on each ring. Just like the original Sophie, she’s made of 100 per cent, natural rubber and painted with non-toxic, food-grade paints. 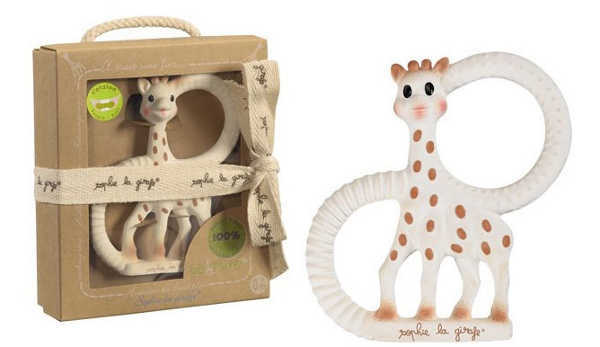 The Sophie the Giraffe Teether is $19.95. The makeover doesn’t finish there, with Sophie now ready to take the plunge at bath time. 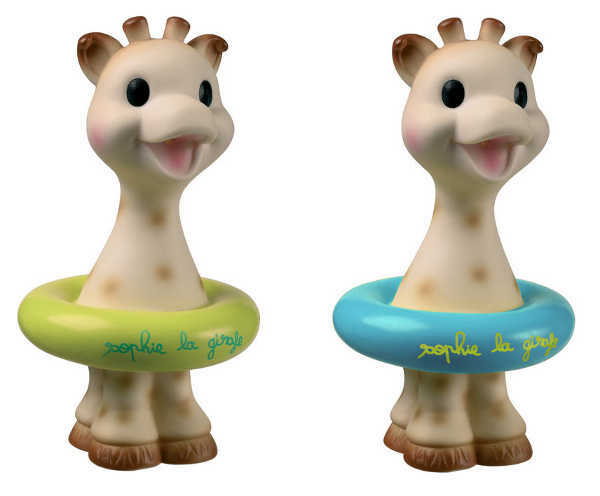 The Sophie bath toy floats, squirts, and has all the same safe features as the original, and is priced at $21.95. Manufacturer Vulli also has a trio of funny characters made from the same soft, soothing rubber. 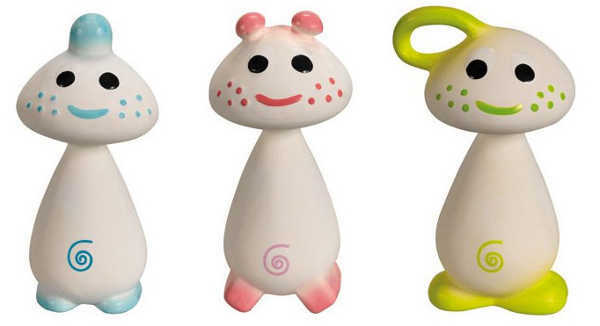 Chan, Pie and Gnon are designed to stimulate each sense, including hearing (they are fitted with a squeaker) and smell (the special smell of natural rubber from the Hevea tree apparently imparts a particular perfume to allow your baby to identify them from other toys). They are $24.95 each. This collection of toys is available from Urban Baby.